To start, I picked it up at the Charleston County Library last week. It was on sale for one dollar. For a beautiful cover such as this, it was worth a dollar. As for the story, I suppose it was worth a dollar too. Maybe two dollars, maybe three. In truth, I hesitate to be critical of any book because I’m not published. It’s as simple as that. When I’m sitting among published writers as an equal, perhaps I’ll be more comfortable with giving negative reviews, but until then, I must be judicious. The Senator’s Wife revolves around two women in 1993 and 1994 – Meri, a thirty-something newlywed who buys a semi-detached with her husband, Nathan, in a quiet New England town. On the other side is Delia – the seventy-something wife of former senator, Tom Naughton, a man known for his infidelities. Delia and Tom are informally separated and speak little of his indiscretions. He lives in Washington (where at the frivolity is) and Delia splits her time between New England and Paris. Their adult children aren’t thrilled about the arrangement. Meri and Delia develop a friendship that includes the swapping of advice and comfort. Meri is still trying to figure out what marriage and family is all about (she and Nate eventually get pregnant) and Delia is there with little nuggets of wisdom. So why is this book not my favorite? 1. It’s painfully detailed. Normally, I embrace the details. Details help paint the setting. They color the characters. They put you smack dab in the middle of the story. However, Sue Miller seemed to add every tiny snippet of detail whether or not it mattered to the story. Towards the end, I was tempted to skim paragraphs because I just didn’t care to follow Meri or Delia around on their daily tasks. It became tedious. 2. Nathan is a red herring when he could’ve been a big player. Miller sets up Meri’s husband to have potential. He’s self-centered, a touch controlling, and oddly quiet. He was ripe for conflict! But, no. He’s just there. 3. The conclusion was unsatisfying. Not in the way Gone Girl was unsatisfying, mind you. I didn’t want to throw The Senator’s Wife across the room. Instead, I sat there and said, “That’s it?” Sure, there was conflict. There were bad decisions and embarrassing moments and one scene in particular that was horribly uncomfortable. I didn’t say any of those things. That list aside, I can say that the format and overall narrative was fine. It was a fine book. It was okay in the way that a beach read is okay, minus the humor. The story trucks along and then it ends. The real loss here is that I’m not tempted to read more from Sue Miller. Anyone can write a so-so book, but that doesn’t necessarily reflect an author’s entire body of work. 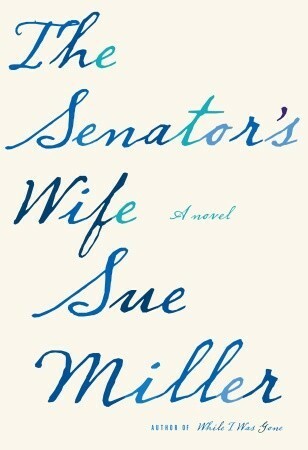 Maybe The Senator’s Wife is the only ho-hum book in the lot, but maybe it’s supposed to be one of her better ones. This not knowing gives me pause. Buy The Senator’s Wife here. That horrible, no good, tempting stamp of validation: Do you like me?